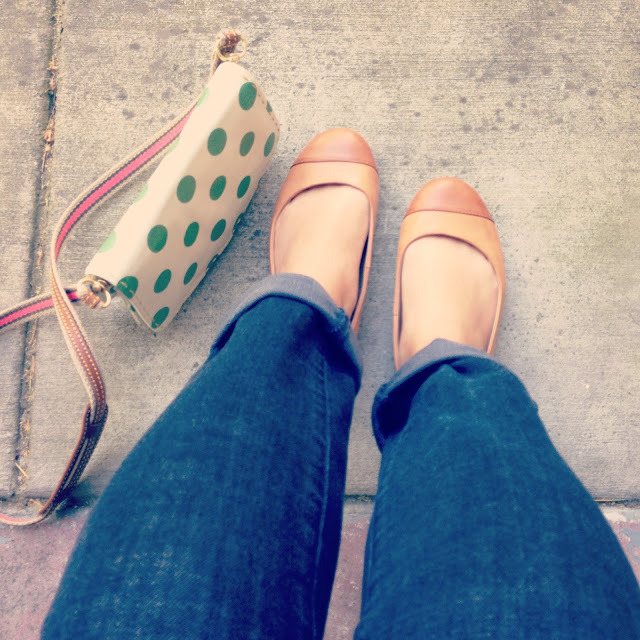 Ballet flats are always too narrow and tight for me, but I love how Parisian chic they look. Unable to resist, I actually bought a few new pairs last year before deciding they were too painful and giving them all away. 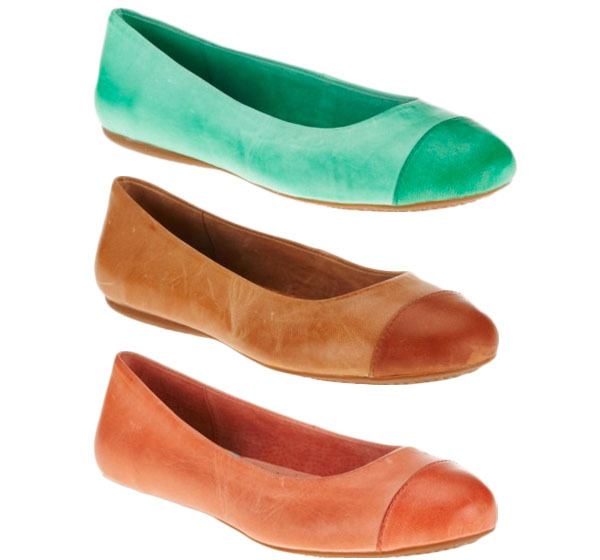 Flats for wide feet are usually way matronly and orthopedic-looking. So, I was thrilled when I discovered the SoftWalk Napa Flat . They come in wide widths, have pillowy foot beds (so you don’t feel like you’re walking on concrete barefoot) and look like regular ballet flats! I can’t recommend them enough if you’re looking for cute flats for wide feet. Hi! Did you order the W size? And did they come true to size or are they too big/too small, etc.? Thanks for sharing! Hi Victoria! I normally wear a size 6.5 wide width shoe, however I'll wear a size 7 or even 7 1/2 regular width shoe to accommodate for the width if wide's not available. (So I have pretty wide feet!) I ordered these flats in a 6.5W and they fit perfectly! I'd say they are true to size. I stumbled upon you blog via Google image search. I was interested in these shoes, but needed to find an image of someone actually wearing them. Here I am. I stumbled upon your blog for my vain and trivial reasons, but I have since been very moved and very affected by the parts of your story that you have shared in your corner of the internet. You write beautifully about your life, love and loss. Thank you for sharing. I pray you are doing well. cynthia, that made me smile 🙂 Thank you for visiting and reading. I still wear my flats all the time. It's so hard finding wide shoes. I have an extra wide foot. I recently found a ballet flat that is made of beautiful Italian Leather that stretches to fit the foot. They are not advertised as Wide, but recommend going up half a size. I purchased them in a size 8. They fit!!! Yaay! I bought them in a second color. They fit too! This article:I was disappointed that many of the links to wide width shoes here were broken. I did find the ballet flat mentioned here: But they are only D width. Your individual name and also stores it on the computer you are utilizing to visit. Official Website You need to ensure that last three personalities of your user names.